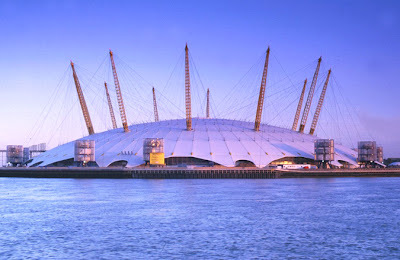 Another Cautionary Tale For Museums: What Happened To The Millennium Dome? I happened upon the Danny's Land blog today, and aside from the fact that Dan Howland points out both Laurie Anderson's and Thomas Dolby's favorite oddball amusement parks (That would be "Dollywood" for Laurie and "Diggerland" for Thomas) he also offers a free PDF download of a treatise called "Dome and Domer: The Increasingly Stupid Story of the Millennium Dome." The premise of the Millennium Dome: "Let's spend lots of money to build a ginormous new attraction with lots of flashy technology --- so many visitors will come, that it will be self-supporting!" certainly sounds familiar to museum people. Obvious though such points about the 'Dome may be, there are still many museum projects hoping to survive on good intentions rather than sound business fundamentals. Rather than detail here the many hilarious (and scary!) goofups that ultimately doomed the 'Dome, I'll let you download and read "Dome and Domer" for yourself.